What do dog food labels mean? A few other things to consider are the price. Calculate out the price per pound or the price per day. Almost always, dry food is more economical, and the larger the bag the lower the price per pound. Many times, a 40-pound bag is less than half as much per pound than an equivalent 5-pound bag. Remember that with lower quality foods you feed more and it may not always be cheaper. Check the ingredients, they will tell the real story. Most pets do not need specialty foods, just quality food. By understanding this article and looking at a few pet food labels you will be able to find the best food for your dog. This can be the hard part. All pet foods have different levels of moisture. Canned foods can have up to 80% moisture whereas, some dry foods can have as little as 6%. This is important for 2 reasons. The first is that the food is priced by the pound, and when you buy dog food that is 80% water you get 20% food and the rest is water. So the amount of food your pet consumes is small and expensive. The other reason for understanding percent moisture is to help you compare crude protein and fat between brands and between canned and dry. The listings on the label are for the food as it is fed, not as it would be on a dry matter basis. So without converting both brands of food to a dry matter basis you will not be able to compare them accurately. Fortunately, the conversion is not that complicated. If a dry dog food has 10% moisture we know that it has 90% dry matter. So we look at the label and check the protein level that reads 20%. Next, we divide the 20 percent protein by the 90% dry matter and we get 22%, which is the amount of protein on a dry matter basis. Does this make sense so far? Good. Now let us compare this to canned food that has 80% moisture. We know that with 80% moisture we have 20% dry matter. The label shows 5% protein. So we take the 5% and divide it by 20% and we get 25% protein on a dry matter basis. So the canned food has more protein per pound on a dry matter basis after all the water is taken out. We can do the same for fat, fiber, etc. The guaranteed analysis on the information panel of the dog food label lists the minimum levels of crude protein and fat and the maximum levels of fiber and water. 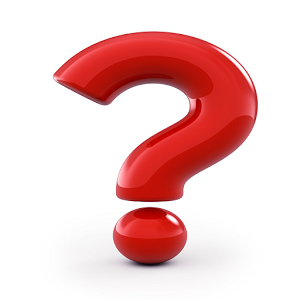 The protein and fat are listed as crude sources and not as digestible sources. The digestibility of protein and fat can vary widely depending on their sources. The list of ingredients should be examined closely to determine how digestible the sources are (see articles on protein and fat for more explanation). The other factor in determining actual protein and fat percentages is the amount of moisture present in the food as discussed earlier. While the guaranteed analysis is a start in understanding the quality of the food, be very careful about relying on it too much. A pet food manufacturer made a mock product that had a guaranteed analysis of 10% protein, 6.5% fat, 2.4% fiber, and 68% moisture, similar to what you see on many canned pet food labels. The only problem, was that the ingredients were old leather work boots, used motor oil, crushed coal, and water! All pet foods must list the ingredients present in the food. The ingredients must be listed in order of weight. This is one of the best ways to determine the quality of the food. With a little knowledge of the ingredients, you can choose a food that is highly digestible and free of unwanted products. Be careful of one tactic used by manufacturers to disguise less desirable ingredients. Breaking an ingredient into several different smaller ingredients and listing them individually is used to lower these undesirable ingredients farther down the ingredient list. For example, a product list could contain chicken, ground corn, corn gluten, ground wheat, corn bran, wheat flour, wheat middling, etc. If we were to group all of the corn ingredients as one, they would probably far out-weigh the amount of chicken, and wheat. As a consumer, you must read all of the ingredients carefully including the ingredients at the end, to know the type of preservatives and colorings that are used. I have listed a few of the more common ingredients and their definitions. Meat by-products are clean parts of slaughtered animals, not including meat. These include lungs, spleen, kidneys, brain, liver, blood, bone, some fatty tissue, and stomach and intestines freed of their contents. It does not include hair, horns, teeth, or hooves. Poultry by-products are clean parts of slaughtered poultry such as heads, feet, and internal organs (like heart, lungs, liver, kidneys, and intestines). It does not contain feathers. Fish meal is the clean ground tissue of undecomposed whole fish or fish cuttings, with or without the oil extracted. Ground corn is the entire corn kernel ground or chopped. Corn gluten meal is the by-product after the manufacture of corn syrup or starch, and is the dried residue after the removal of the bran, germ, and starch. Brewers rice is the small fragments of rice kernels that have been separated from larger kernels of milled rice. Brown rice is the unpolished rice left over after the kernels have been removed. Soybean meal is a by-product of the production of soybean oil. BHA is butylated hydroxyanisole, a fat preservative. Ethoxyquin is a chemical preservative that is used to prevent spoilage in dog food. Tocopherols (e.g., vitamin E) are naturally occurring compounds used as natural preservatives. 'AAFCO' stands for the Association of American Feed Control Officials. The AAFCO develops guidelines for the production, labeling, and sale of animal foods. These are called the AAFCO standards. AAFCO has developed two standards which pet foods should meet. Pet foods which meet the AAFCO's requirements will include one of two statements on their label. The first standard states ''...is formulated to meet the nutritional levels established by the AAFCO Dog Food Nutrient Profiles for...'. This means the food was tested in the laboratory and was found to have the recommended amounts of protein, fat, etc. But as mentioned above, the combination of shoe leather, used motor oil, and coal would meet this standard. The second standard states something like 'Animal-feeding tests using AAFCO's procedures substantiate that this product provides complete and balanced nutrition for...'. For a pet food to be able to carry this label, it had to be tested on a population of animals and shown to provide adequate nutrition. But even with this statement, there are problems with its interpretation. If one particular product in a manufacturer's line was tested and found to meet this standard, the company is allowed to include this same statement on other products in the same 'family' which provide equal or greater concentrations of all the nutrients. So even if the pet food carries this AAFCO food trial statement on its label, you can not be sure that specific product was actually tested in a food trial. In addition, the food is tested in adult dogs for 6 months and in puppies for 10 weeks. This may not be an adequate amount of time to determine if deficiencies or other long term effects may occur after feeding the product a year or more. Despite these problems with the interpretation of this AAFCO food trial statement, having the statement on a pet food label at least shows the company has made some attempt to develop a good food. Feeding instructions or guidelines should be included on every bag and can of dog food. These guidelines give the recommended amount to be fed based on growth level and weight. These are very rough guidelines. Every animal has a different level of activity, metabolism, and ambient environmental temperature. In addition, breed, age, and other environmental stresses all impact daily requirements. Guidelines should be used as rough starting points. If your dog is thin or hungry, feed more often and in greater quantity. If your pet is overweight or obese, feed less. What is the best dog food on the market? There is no one best food for all dogs. The very fact that there are so many types and brands on the market shows that there are hundreds of options and opinions. Some dogs need higher fat and protein than others; some prefer canned over dry. 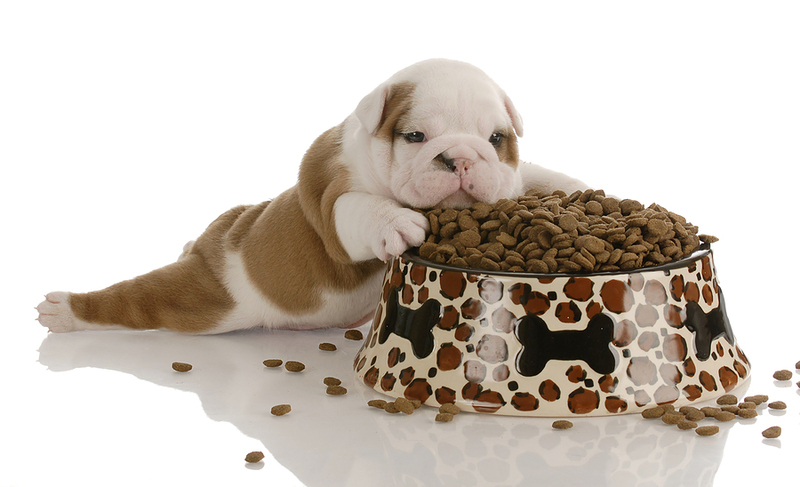 Feed what is appropriate for your pet: dogs need dog food, and puppies need puppy food. Do not switch brands every month, but do not be afraid to switch brands and find one that your pet does well on. Use the guaranteed analysis, ingredients listings and feeding guidelines to help guide your decision.